Can you imagine today’s world without the Internet? Of course, without the Internet, humanity would still continue to function but a lot of the progress we’ve had throughout the past couple of decades will be gone since a lot of it is contributed to this weird invention called the Internet. Nowadays, a lot of our everyday lives is heavily dependent on it. We use the Internet for our work, leisure, to set up plans, find important information that we need, communicate with others transfer data and many more. Nearly all aspects of our lives are, in some way, connected to it and made easier (or possible) by it. Because of this, any significant disturbance or malfunction that happens to the Internet can have huge repercussions on a global scale. Currently, the protocol used used to manage the computer networks that form the Internet, the TCP/IP, is a very stable one and it allows for the unwavering functioning of the Internet. Seemingly, there is no danger for the existence the greatest invention of the new world. And yes, in terms of the protocol used to manage it, things are fine for now. However, there is another aspect that seems to have been heavily disregarded throughout the years. What is the medium used to connect the devices and networks that form the Internet? So, what do you think is the answer to that question? Many of you might think of satellites, right? It seems the only logical option that would allow for quick and efficient transfer of data all over the world. Well, it turns out that only a small percentage of the data transferred over the Internet gets managed via satellite connection. In reality, only a small portion of the whole online traffic goes through satellites – around one percent. 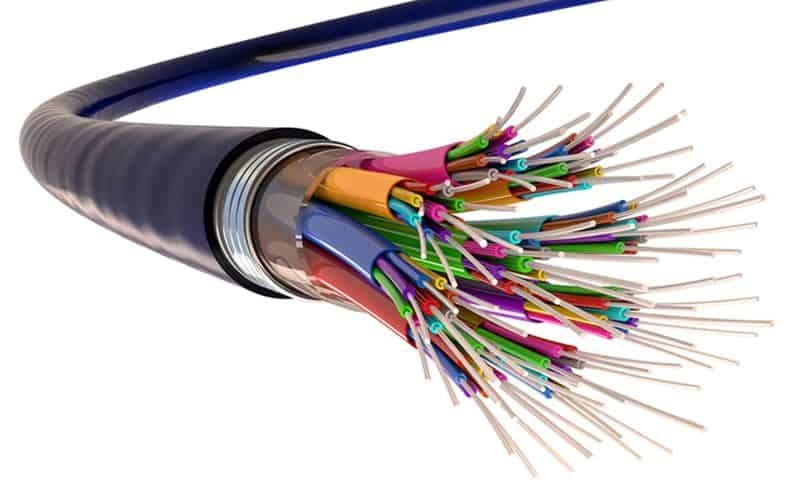 The rest of the traffic is managed served by fiber cables Even when it comes to serving traffic overseas, there are thousands of kilometers of fiber-optic cables lying on the seafloor and transferring digital data between the continents. The main reason why this is the widely-preferred method is that it is much more efficient and much cheaper. That is not to say it is cheap to set up cables at the bottom of the sea that spread from one continent to another but it is certainly even more expensive to send more and more satellites in orbit. One other important aspect is the capabilities of the two separate methods. While the capacity of the submarine cables is measured in terabytes per second, satellites can only support data transfer that doesn’t exceed a thousand megabytes/second. So what’s the issue with cables? Apparently, it is a much better option to have the Internet traffic managed through cables rather than satellites, so where’s the problem with that. 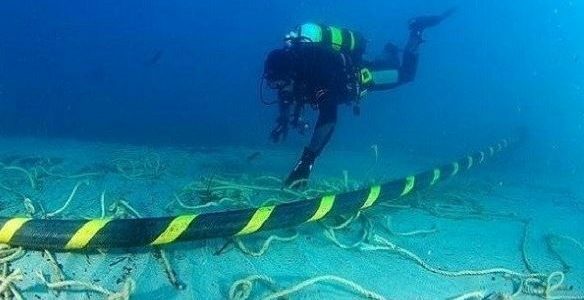 Well, although the submarine cables are placed really deep, where the seafloor is, there are still many physical dangers that can come to them. First and foremost, a lot of those cables have been there for quite some time. They are now old and likely, the natural processes around them have more or less weakened their integrity. After all, there are all sorts of stuff that can happen which could damage them – sea creatures can cause damage to the cables as well as various kinds of debris and even volcanic and/or tectonic activity and such is much more likely to occur deep down, at the sea floor, rather than on land. Natural processes are only one of the major dangers that threaten the submarine cables that manage most of the Internet traffic. One other possible danger comes from us, the humanity that has worked to set them up in the first place. 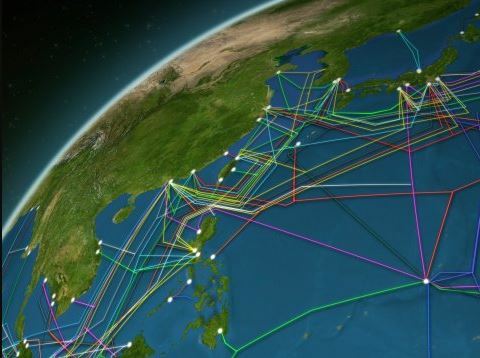 Of course, a country wouldn’t go and try to intentionally damage or destroy the submarine cables that it has established but another country might indeed do that. Also, it wouldn’t really take much. The locations of all those thousands of seafloor cables isn’t exactly unknown, just have a look at this website if you aren’t convinced. 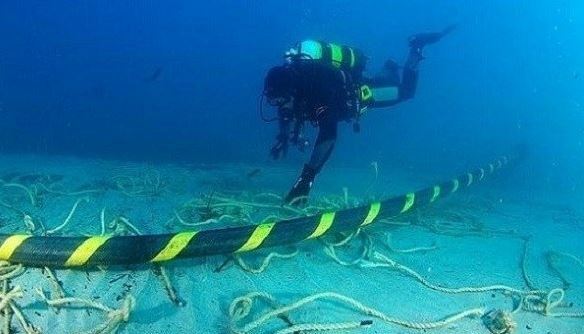 Despite the significant depth of the seafloor where those cables lie, it should still be relatively easy for a someone with enough money to locate and damage them. It doesn’t even need to be a country that seeks to gain something out of such an nefarious action. There are hundreds of organizations with shady agendas and dishonest goals that can easily find a way to disrupt the Internet as we know it and as we already mentioned, any major malfunction in that field can have severe and unforeseen consequences that would affect not only single countries bot potentially whole continents as well. Although such a scenario is generally less threatening as the methods for gaining higher levels of privacy online have been greatly improved upon throughout the last decade, it is still possible for certain government organizations from different countries to tap into those submarine cables and gain secret intelligence through them. The potential damage that can come from this might not be as dreadful since most Internet communications are currently encrypted, yet it is still a real possibility that should not be disregarded. Unfortunately, currently the focus of the world isn’t really shifted towards the problems that might come from the medium used to spread the Internet. So far, cables have worked fine and maybe this is the reason why few are actually concerned with their future. However, if measures do not get taken soon, a lot of what was said throughout this article might become reality and then it would be much more difficult to handle the problems which might occur.